Once again, the Concerned Citizens of the 8th Ward and some 8th Ward residents have overcome tactics to thwart their activities when trying to inform the community of unwanted developments that only serve a few, but are being forced on the 8th Ward community overall. The Concerned Citizens scheduled meeting at St. Ailbe Church to inform the community of a development that many in the area don’t want was canceled without notice. Reportedly, an unknown caller had called the church sometime ago to reserve the meeting room and falsely used the name of a person several people at the church was familiar with. When the falsely accused woman called the church and complained the meeting was canceled. 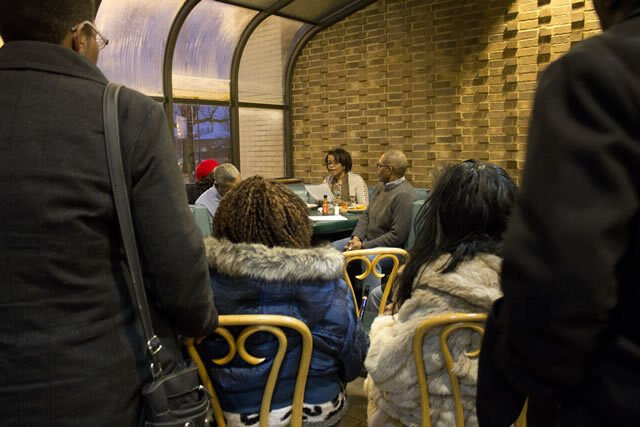 When attendees arrived at the meeting, and after standing in the rainy-cold for awhile, they were told by an 8th Ward alderman’s staff person stationed in the parking lot passing out brochures about Montclare, that the meeting had been canceled. It was a full-parking lot of cars and disappointed people due to the meeting being canceled. The proposed 134-unit, 8 story low income Montclare building for senior citizens is defiantly opposed by the community but very much sanctioned by the alderman. The Concerned Citizens of the 8th Ward were disappointed but not discouraged that the meeting had been canceled. They quickly relocated everyone to an alternate location because they felt it was too important to let the mishap obliterate them or stand in the way of getting the word out about what was taking place in the community, including a new seven story 1-2 bedroom low-income senior housing development without input from the community. 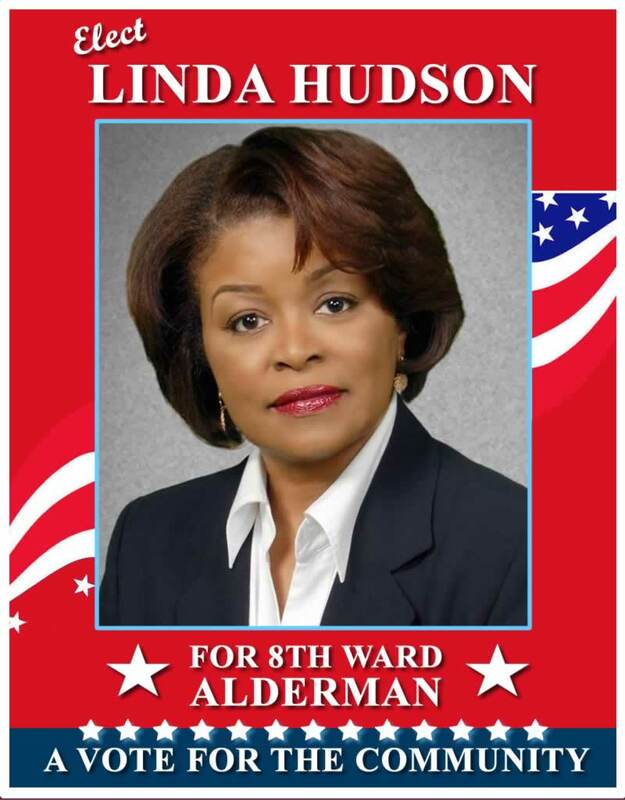 That was quick thinking on the part of Linda Hudson, a candidate for alderman of the 8th Ward, who understands the importance of not letting a situation that some would have given up on and gone home stop her from informing the community. This instantaneous recovery shows that Hudson thinks on her feet (even in the rainy-cold). That is why we need Hudson for 8th Ward alderman. She won’t give up on getting the community involved and empowered. Let’s hope St Ailbe learned from this and will develop a fail-safe system to confirm persons who call in to use the meeting room. Perhaps a confirmation number could be issued when a meeting is scheduled, and it would have to be used to cancel the meting or with a follow-up call.